Emergency Dentists USA is your premier source for finding that great Temecula emergency dentist when your dental emergency strikes unexpectedly. From 24-hour on-call dentists who offer immediate care for that painful toothache to dental clinics that are open after hours to cater to anyone with a dental problem that crops up overnight, Temecula emergency dentists are always available. Emergency Dentists USA also provides a 24-hour emergency dental hotline that connects you to a live person who can answer your questions about emergency dentists in Temecula, provide you with a convenient dental office location, and even set up an appointment for your dental emergency. Luckily I found this website just in time when I was experiencing such a bad toothache I had no idea where to turn. It was great to have several dentists listed on their site in my city along with a phone, address, hours, etc. Makes it easy to find a good dentist when you’re in pain! There are a variety of great emergency dental clinics in the Temecula area. These clinics include offices that provide dental services on an emergency basis, even late at night or early in the morning. Emergency 24-Hour Dental Clinics – Clinics that specialize in being open 24-hours a day are a bonus for patients with an emergency that occurs late at night. Ku Family Dentistry offers access to a dentist 24-hours a day via their dedicated dental hotline. After Hours Dentists – Regular dental clinics that are open after hours are a wonderful asset for the Temecula area. Temecula Dental provides office hours until 6 p.m. on most weekdays and is open on Saturday for your convenience. Emergency Dentists USA offers an excellent service to suit your dental needs. Our Temecula emergency dentists are listed below, and they provide the dental care that you require with office hours that suit your schedule. Simply scroll through our comprehensive listing of emergency dentists and choose the dentist with a location or office hours that are perfect for you or access our 24-hour dental emergency hotline to speak with a live person who can help you to choose an emergency dentist. Description: Call us today to find the perfect emergency dentist in Temecula for whatever your situation may be. We make the process simple by maintaining a relationship with thousands of dentist throughout the nation. Call today, speak to the operator 24 hours a day, 7 days a week, and make an appointment with a dentist near you! Description: Temecula Dental is one of the top practices in the Temecula area. They offer services that tailor towards serving your emergency needs. They offer favorable hours on weekdays and have 3 dentists, 4 specialists, a hygienist and an office manager. They can fix broken crowns, fillings, teeth, abscess teeth and even do braces! Description: Family Dental Center of Temecula offers a lot of services covering a lot of different areas of the practice of dentistry. Also, they offer a 10% discount if you pay with cash only. With Saturday dentist hours, they’re a perfect choice for those facing a dental emergency on a weekend. Description: Nash Dental Care provides standout service to the residents of Temecula and is even open on Saturdays from 8 AM until 2 PM. Come visit Nash Dental and see why the staff, assistants, and scheduling personnel rank so highly with everyone who walks in the door. Description: Ku Family Dentistry is a good option for emergencies. You can expect them to take on just about any urgent oral health problem that may potentially arise. However, the thing that really makes Ku Family Dentistry standout is the fact that they have a 24-hour dentist on call willing to assist you in any dental emergency. So, if you have a problem you need to get taken care of right away simply give them a call and schedule an appointment. – Similar to visiting your regular dentist, a Temecula emergency dentist provides routine dental care like x-rays and examinations. These dentists also offer more extensive procedures like tooth replacements and mouth restorations. – Gather your recent dental records including any recent x-rays to bring with you to your emergency dentist. These records help your new dentist to choose the best course of treatment for your dental emergency. – Try to arrive at least 15 minutes prior to your emergency dental appointment. This gives you plenty of time to ask questions regarding your procedure and to fill out the necessary paperwork. – Let the Temecula emergency dentist know if you are allergic to any medications. Bring a list of your current medications with you to the visit. – Make sure your new dentist accepts your payment method. Most emergency dentists accept cash, credit cards, personal checks and some even offer low-interest payment plans for more extensive services. – Let your new dentist know if you have dental insurance. Choosing an in-network dentist can help to lower the cost of your dental treatments. Common 24-hour dental emergencies include painful abscesses that could be potentially dangerous if left unaddressed. 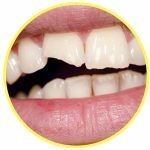 Another emergency you might encounter is a broken tooth or a tooth that has been chipped. A knocked out tooth, a lost filling, or a loose or lost crown are also common emergencies that send visitors to Temecula emergency dental clinics. A loose crown or a lost crown is a dental emergency that requires immediate treatment. If you are able to find the crown, rinse it carefully and fill the inside of the crown with an over-the-counter dental adhesive or toothpaste. Place the crown back over the tooth to protect the tooth from further damage. If you are unable to place the crown back over the tooth, bring the crown with you to visit your emergency dentist. He or she will be able to replace the crown or create a new crown for your damaged tooth. It is important to have the crown repaired or replaced as soon as possible. Broken or loose braces and wires require the immediate attention of an emergency dentist. If your wire is loose, do not cut the wire. You can use the eraser end of a pencil to push the wire into a more comfortable position. You can also use a small amount of orthodontic wax or a cotton ball to cover the sharp end of the wire. 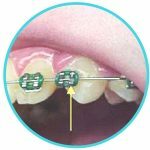 Loose braces can be reattached using an orthodontic wax. 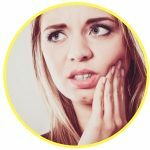 A chipped or broken tooth is a common dental emergency that can be both painful and embarrassing. If you are able to find the pieces of the tooth, rinse them with water and place them in a small container of milk to bring with you to the emergency dentist. Rinse your mouth carefully and use a small piece of moistened gauze to apply pressure to any areas of the mouth that are bleeding. If you are facing a tooth extraction, it is important to have the tooth extracted immediately so that the decay does not continue. Your dentist will generally take an x-ray of the tooth and perform an examination to determine the best way to remove it. He or she will then choose a local or general anesthetic to keep you comfortable during the procedure. A special tool is used to remove the tooth from the gum, and the gum is stitched closed using a type of suture that dissolves over time. A small piece of gauze is placed over the gum to control any bleeding and full healing usually occurs within one to two weeks. After your emergency tooth extraction, it is important to take any medications that were prescribed exactly as directed. You will need to avoid eating foods that are hard and drinking from a straw for a few days following the appointment. Also, avoid smoking or drinking alcohol until the gum is fully healed. Visiting the emergency room for a dental emergency is a great idea if you have a broken tooth or a dental problem that began with an accident or a sports injury. The hospital ER physician can evaluate you for any other head injuries and refer you to a Temecula emergency dentist for the tooth repair. But, with most common dental emergencies, heading straight to the dental clinic is the best choice. A Temecula emergency dentist is able to evaluate your dental problem and plan your treatment at a lower cost and more quickly than most hospital emergency rooms. Many hospital emergency rooms are actually unable to provide dental care because they do not employ actual dentists. This means that visiting the emergency room for a common dental emergency causes you to pay a separate ER bill along with the bill that will be created when you have the actual tooth repair at a dentist’s office. In most cases, a visit to an emergency dentist is the best choice for a dental emergency. 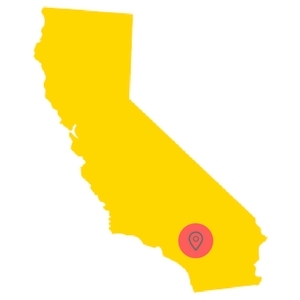 Choosing a great dentist means ensuring that he or she is properly licensed in California. You can use the American Dental Association website to check current licensing and certification. The California Dental Association also provides excellent dental information. The website offers resources that are relevant to the state of California.